Reach college students with the Gospel of Jesus Christ. Build college students into mature disciples of Christ. Mobilize graduates into their spheres of influence throughout the world. Build college students with the Gospel of Jesus Christ. In 1990, Campus Outreach franchised to Bangkok, Thailand. Since landing in Bangkok, Campus Outreach has expanded to Khon Kaen and Chiang Mai. A team of staff left Bangkok for Khon Kaen in 1998. They planted Covenant Church there that same year. 1. 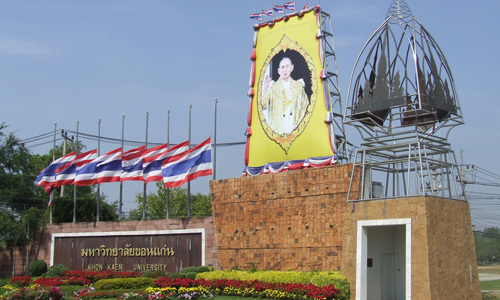 Khon Kaen University: This is the largest university and the central hub of education in Northeast Thailand, with approximately 35,000 students. 2. Covenant Church Khon Kaen: The partner church of Campus Outreach Thailand that serves both college students and locals. 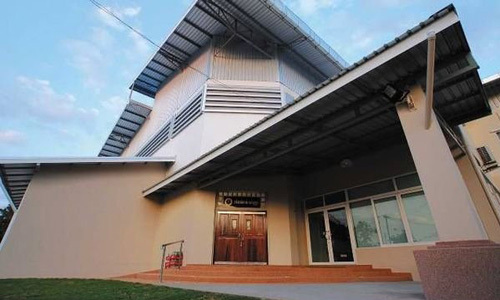 Covenant Church Khon Kaen is the partner church of Campus Outreach Thailand and was planted in 1992. Covenant is an independent church, with reformed roots, located in Bangkok. In 1999, Covenant Church planted a sister church in Khon Kaen. Covenant Church was particularized by Dr. Frank Barker, Pastor Emeritus of Briarwood Presbyterian Church, as its own entity in Thailand, yet Covenant Church is under Overseas Missionary Fellowship’s (OMF) umbrella of churches in Thailand. Covenant Church was estabilished for both college students and locals to attend. Covenant Church focuses on teaching and equipping both college graduates and locals who are members. The church staff attempt to help graduates and locals reach and redeem the city and community for Christ. In 2013, staff from the Khon Kaen ministry were sent out to start a new Campus Outreach franchise in Chiang Mai. This team has staff laboring at Chiang Mai University. CMU is the largest and best university in the Northern Region of Thailand. CMU is one of the top 3 universities of Thailand. CMU has on average 40,000 students enrolled. Learn about the different ways you can become a part of this journey!